Updated Aug. 18 to correct stats for chronic disease in the United States and worldwide, 2014 stats for deaths in the United States due to chronic disease, and CDC estimates on the number of diabetics in 2050. Updated Aug. 29 to clarify medical expenditures related to treating the chronically diseased. 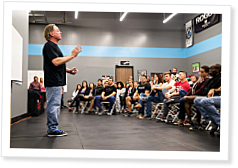 Adapted from CrossFit Founder and CEO Greg Glassman’s Level 1 Certificate Course lectures Feb. 27, 2016, in San Jose, California; March 27, 2016, in Aromas, California; and April 24, 2016, in Oakland, California. 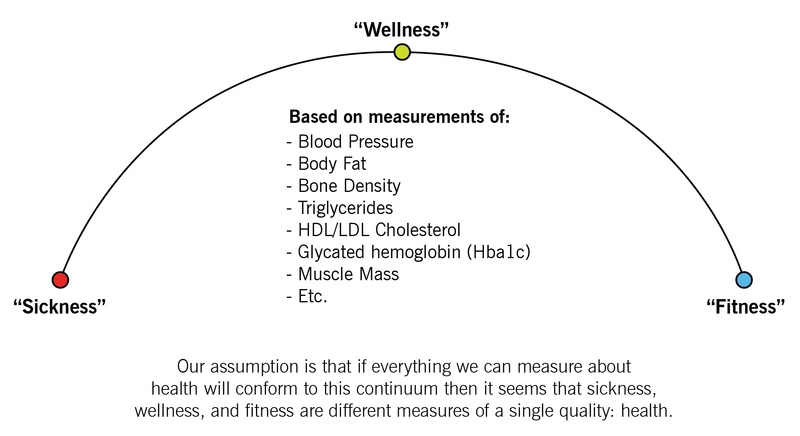 In 2002, we observed that almost any health parameter sits well ordered on a continuum of values that ranged from sick to well to fit. Take high-density lipoproteins (HDL cholesterol), for instance: At less than 35 mg/dL you have a problem, 50 mg/dL is nice, and 75 mg/dL is a whole lot better. Blood pressure: 195/115 mm Hg you have a problem, 120/70 mm Hg is healthy, and 105/50 mm Hg looks more like an athlete. Triglycerides, bone density, muscle mass, body fat, hemoglobin A1c (HbA1c, aka glycated hemoglobin)—all can be plotted relative to these three values. The significance is that these are the predictors, the cause and the manifestation of chronic disease. Chronic diseases include obesity, coronary heart disease, Type 2 diabetes, stroke, cancer (to include breast, colon and lung, but my theory is this will include all the positron-emission-tomography-positive cancers eventually, which is 95 percent of all cancers), Alzheimer’s, peripheral artery disease, advanced biological aging, drug addiction, among others. It is very likely that if you have any chronic disease, you have deranged markers. If you have Alzheimer’s, you would see your HDL suppressed, your blood pressure up, your triglycerides up, your body fat up, your muscle mass down, your bone density down, your HbA1c high, etc. The same is true with diabetes. The same is true with most cancers. Medicine has no effective treatment for chronic disease: It is symptomatic only. The doctor gives you a drug to bring your cholesterol down, a different drug to raise your bone density. You might need bariatric surgery if you have morbid obesity. If you have paved-over coronary arteries, they can do bypass surgery. If you become glucose intolerant, the doctor can put you on insulin. But all of these are not fixes. They are masking the problem. If you have persistent malignant hypertension, you should take an antihypertensive if you cannot get your blood pressure down otherwise. But how would you get it down otherwise? CrossFit Inc. holds a uniquely elegant solution to the greatest problem facing the world today. It is not global warming or climate change. It is not the worst two choices imaginable for president. It is chronic disease. The CrossFit stimulus—which is constantly varied high-intensity functional movement coupled with meat and vegetables, nuts and seeds, some fruit, little starch and no sugar—can give you a pass on chronic disease. It is elegant in the mathematical sense of being marked by simplicity and efficacy. It is so simple. Seventy percent of deaths in the United States are attributable to chronic disease. Of the 2.6 million people who died in the United States in 2014, about 1.8 million died from chronic disease. This pattern of increasing deaths due to chronic diseases also holds in countries that are ravaged by infectious disease. The numbers are rising, and when we finally add the positron-emission-tomography-positive cancers in, the number might be 80-85 percent in the United States. It is estimated by the Centers for Disease Control (CDC) that the United States could have up to a hundred million diabetics in 2050. That will affect everyone. You will not go into the emergency room for something as simple as a broken arm: You will be seeing heart attacks on every corner. Medicine has no solution; you do. CrossFit—with meat and vegetables, nuts and seeds, some fruit, little starch and no sugar—will help you avoid all of this. The other 30 percent are dying from accidents that come in four “-ic” variants: kinetic, genetic, toxic and microbic. Kinetic: physical trauma, car crash, hit on a bike. Toxic: environmental toxins, such as lead poisoning. Genetic: genetic disorders like cystic fibrosis, you are born with it. Microbic: virus, bacteria, prions. This is where treatment can be symptomatic. This is where the miracles of medicine are. If you have got a genetic disorder that is making you sick, you need a doctor. If you have been poisoned, you need a doctor. If you caught a nasty virus or a flesh-eating bacteria, you need a doctor. You do not need to go to the gym, and you do not need burpees. Doctors are like lifeguards; CrossFit trainers are like swim coaches. When you are drowning, you do not need a swim coach. You needed one, and you did not get one. What you need is a lifeguard. We will teach people how to swim, and when they do not pay attention and they go under, the doctors take care of it. 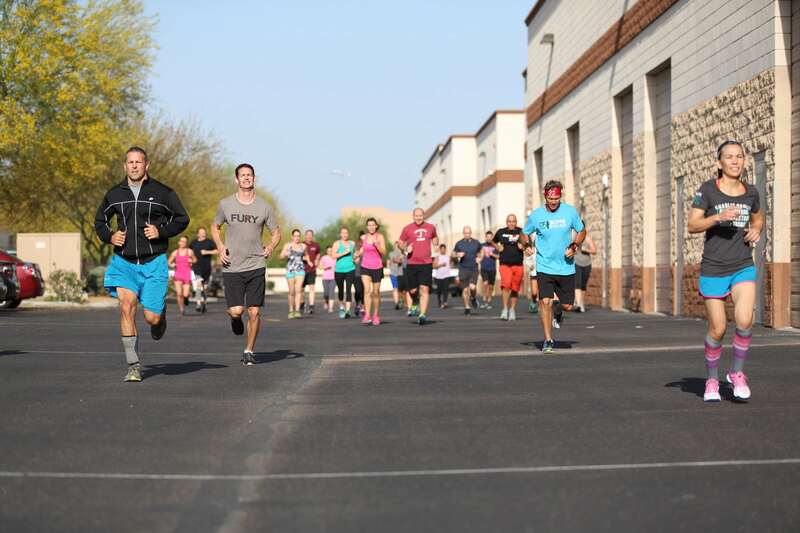 CrossFit trainers provide non-medical health care: By focusing on work capacity, clients can avoid chronic disease. Accidents are largely stuff you can do nothing about, but there is one exception. Be fit. Kinetic: We hear stories from war of CrossFitters who survive things that people have not survived previously. Toxicity: Someone who is fitter is more likely to survive the same poisoning than someone who is not. Genetic: There are genes you have inherited that will or will not express because of your behavior through diet and exercise. Microbic: Who is most vulnerable to viral pneumonia? The frail, the feeble. So fitness offers a protection here. But assume there is no protection from fitness because what you need in terms of preventing accidents largely is luck. Luck—there is no “good luck” versus “bad luck”—looks like not having these things happen to you. Seventy percent of what kills people can be addressed by what CrossFit trainers do, and the other 30 percent of deaths occur based on luck, so get fit and do not think about luck. If you stand around worried about germs, worried about the tire that is going to come through the windshield, worried about breathing toxic air and worried about your genes, you are wasting your time. It will not make you happy. It will not make you better. It will not make you safer. You are not going to live any longer. This sums to my “kinetic theory of health.” The singular focus on kinematics—increasing work capacity, increasing your fitness—is how to avoid chronic disease. Just get a better Fran time, better deadlift, better Diane time, and do all the things that would support a better Fran time—like eating meat and vegetables, nuts and seeds, some fruit, little starch and no sugar; getting plenty of sleep; and maybe taking some fish oil. After that, we are out of stuff that matters. With that singular focus on work capacity, we can avoid chronic disease and there is nothing really to worry about. You have the lifestyle answer. Make it to the gym, eat like we tell you, and enjoy yourself. Fitness + Luck (bad) = Health. It is the part you can do something about plus the part you can do nothing about that sums to your outcome. So make the most out of fitness and you will not be part of the seven out of 10 who die unnecessarily due to lifestyle. In the end, chronic disease is a deficiency syndrome. It is sedentation with malnutrition. 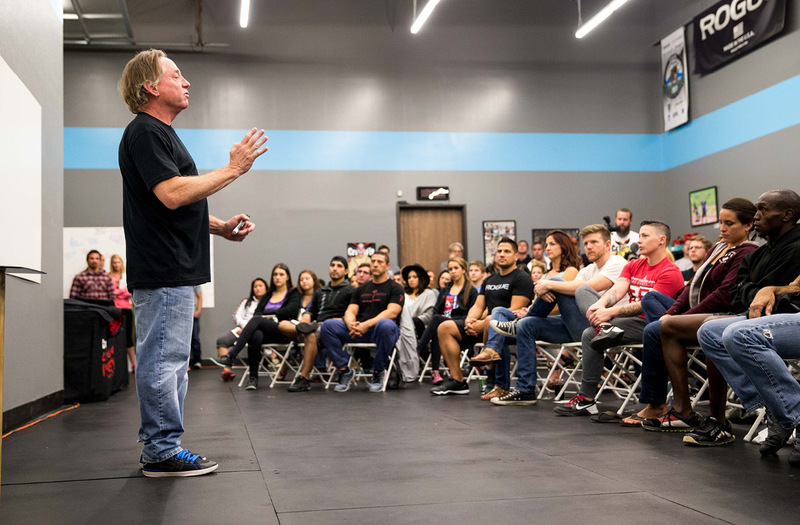 CrossFit Founder and CEO Greg Glassman. The cost of chronic disease is such that U.S. medical expenditure is now about $4 trillion a year. In 2008, Price Waterhouse Cooper estimated that roughly half of all U.S. medical expenditure was wasted on unnecessary procedures, administrative inefficiencies, treatment of preventable conditions and so on. Add in fraud and abuse and we are wasting well more than a trillion dollars. We also know 86 percent of overall health-care spending goes to treating the chronically diseased ineffectively. Of the remaining 14 percent, half goes to the stuff that medicine can actually do something about. That means seven percent of health-care spending is not wasted. The amount spent on chronic disease is a waste. 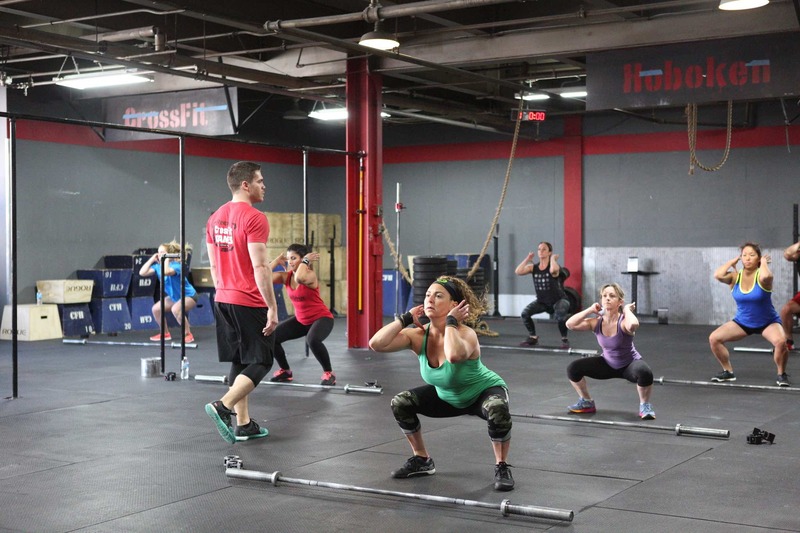 What CrossFit trainers are providing is non-medical health care. When doctors treat those affected by accidents (the 30 percent), that is medical health care. If you are confused about the two, it is easy to distinguish by methods and tools. If someone is cut open, given radiation, prescribed pills, injected with syringes, it is medicine. It is treatment by a doctor. On our side, it looks like CrossFit. We have rings, dumbbells, pull-up bars, our own bodies—and the prescription is universal. It is not to treat disease. It does not matter where you fall on this continuum: You get put on the same program. If the prescription is universal, it cannot be medicine. If it is something everyone needs—like air or oxygen—that is not medicine. ￼Make it to the gym, eat like we tell you, and enjoy yourself. Without vitamin C, you can get scurvy. Should physicians control orange and lemon groves, onion and kale production because they have vitamin C that you cannot live without? We do not want them doing that to food. We cannot let them do that to exercise, and there is a powerful movement with a lot of funding afoot to do exactly that. Millions of dollars are being spent to bring exercise into the purview of the medical arena so that it falls under the Affordable Care Act. We have 13,000 gyms with 2 to 4 million people safe from chronic disease right now. This community is doing a lot of good things on a lot of fronts. Yet our gyms are thriving not because of our impact on chronic disease. They are thriving because the end users, the customers, are extremely happy with the transformation. And it is part physical, part emotional, part health markers, part relationships. That is the miracle of CrossFit: People are getting something that they did not even know they wanted or needed. In 2016, we celebrate the 10th edition of the CrossFit Games—the ultimate proving grounds for the world’s fittest athletes. We challenge you to improve your mental fitness by reading our Founder and CEO’s CrossFit Journal articles.